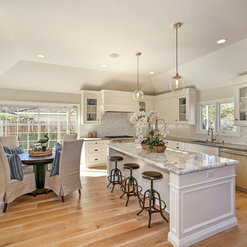 Western Pacific Construction is a general contracting company established in 2003 providing a full range of construction services throughout Southern California. In addition to luxury homes and renovations, we also offer general contracting and construction management services for professional office, commercial, and retail spaces. Based on the foundation of honesty, integrity, and reliability, Western Pacific has become a leader in construction innovation, technology, and efficiency. We know that our clients have many choices when choosing a General Contractor. Thus, we strive to surpass client expectations by providing them with a positive experience and delivering a finished product that exceeds the ordinary. We do so by spending more time with our clients and ensuring only the highest quality materials are used. Our subcontractors are respected in their trade and have built a reputation around quality performance. Our staff of project managers and superintendents are both highly educated and extremely experienced in all aspects of construction. With exceptional customer service and a personalized approach to clients, Western Pacific lives its motto: Relationships are Paramount. Quality is King. Give us a call today to learn how we can help you with your next project. To say my experience working with Sean at Western Pacific was beyond exceptional would be an understatement! His expertise in all areas of completing a quality, high end remodel within a set budget cannot be more appreciated by my wife and me. Being in the Real Estste Magazine publishing business for over 25 years I have literally seen hundreds of homes and hundreds of remodels so Sean really had his work cut out working with me. He exceeded ALL expectations and now has a very grateful lifelong customer and friend! I strongly recommend this rare professional for any project you are considering. We selected Western Pacific to remodel our house because of their creative and innovative ideas and ability to translate our vision to a successful conclusion. The quality was everything we asked for and they were more than helpful. I have been working with Western Pacific and Sean for over 3 years now. He is such a great guy, has a great eye, and his work is seamless. 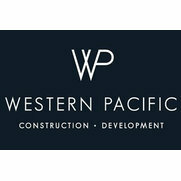 The guys that work for Western Pacific are extremely professional and respectful and keep the place clean and tidy even while they are renovating. Extremely hard workers, and are timely as well. 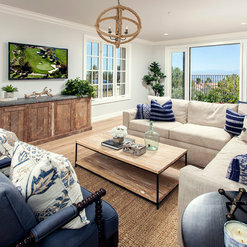 Ive staged his Wave, Dover Shores, and Newport Coast houses, and look forward to doing more work with him in the future! Thanks so much guys! I was fortunate to have a friend of mine refer me to Western Pacific for building my home. From the moment I met Sean I knew he was someone I could trust and work with. He is not only a great contractor and got the project done on time, but has great taste for interior details and a vision of the completed project that exceeded my expectations. He worked with me on my budget and actually even came in below his estimated cost! My husband and I absolutely love our new home and really appreciate how he made what we thought would be a very stressful situation into a really enjoyable experience! I hired Western Pacific to do a major remodel. They exceeded my expectations. Sean Mozayeni, the owner is honest, runs a good job site, and provides great input on what needs to be done and not done. He is very conscientious in managing a budget and doing quality work. What could have been a stressful situation was actually fun. It was a pleasure working with him and the end result was spectacular. We purchased our first home as a short sale and it needed a TON of work. Sean at Western Pacific Construction turned this house into a DREAM home for us. We had a very strict timeline and budget as we were moving and having a baby within a couple months of the purchase. He completed a tremendous amount of work within this period of time, offered many creative ideas to accomplish what we wanted within our budget, had great communication, and was very reliable and professional throughout the whole process. The materials used were of very fine quality as well. Sean offers a skill set that is rarely seen - the eye for creative design, as well as the talent of a fabulous contractor. Usually one would have to hire a design team and a contractor separately. My husband and I are thrilled with the job Western Pacific Construction has done. We couldn't have asked for anything more from a contractor. We highly recommend Western Pacific Construction in every way! Commented: What is that paint colorHello. I believe the was Foggy Day by Dunn-Edwards. Commented: Beautiful room. Who makes the coffee table? Lovely ..Thanks! It was purchased though Blackband Design.